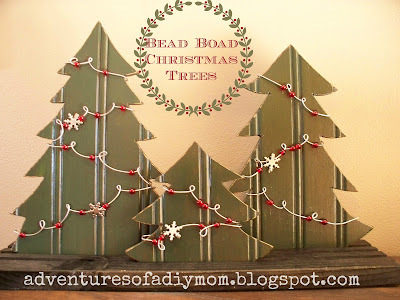 Do these bead board trees look familiar? I made them last year, but couldn't figure out how to embellish them. Well, a full year later, I finally figured it out. I grabbed some wire and some beads and a few snowflake brads and this is what I came up with. I just folded the wire behind the bead board on one side, added some beads and some twists to the wire. Then cut and folded the wire behind the other side of the tree. Then I'd start over with the next piece of wire. I thought about hot gluing the wire to the back, but it seems to be staying okay without it. Then I added the snowflake brads. 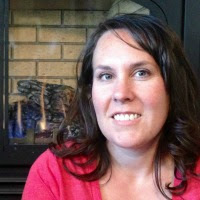 Here's a look at what they looked like last year. 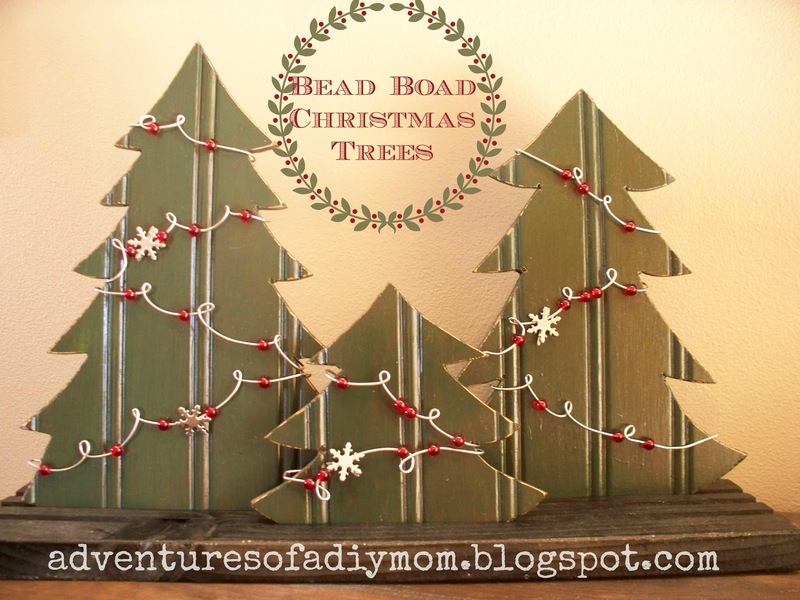 Want to make your own bead board trees? I think the garland adds the perfect touch. Now they look more like Christmas Trees. 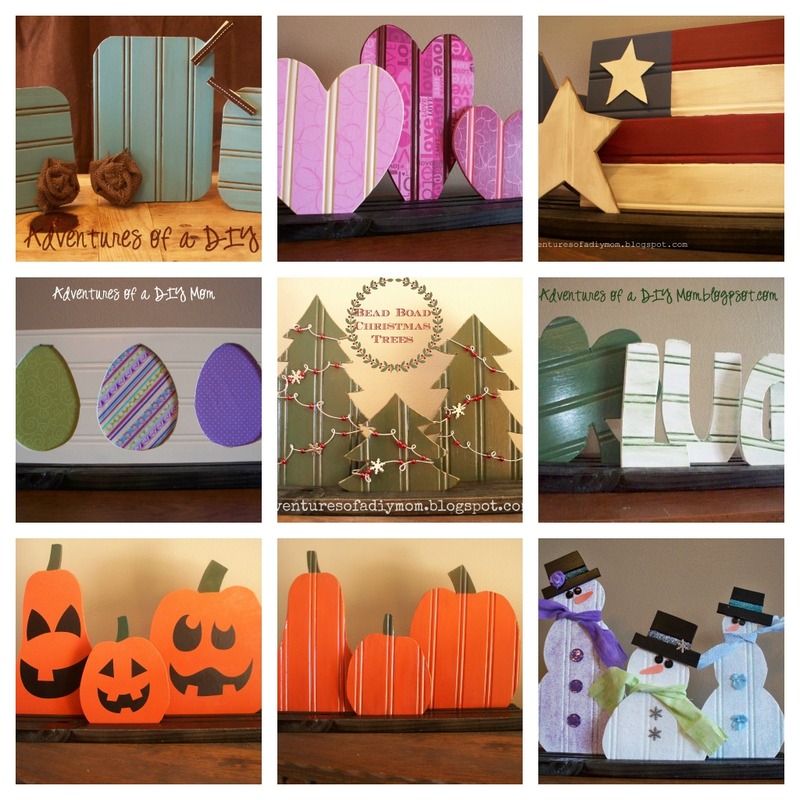 Have you made any crafts using bead board? ooooo I love the garland on them. You did a fantastic job and the trees are amazing! Ohh I love these trees, the garlands look perfect!